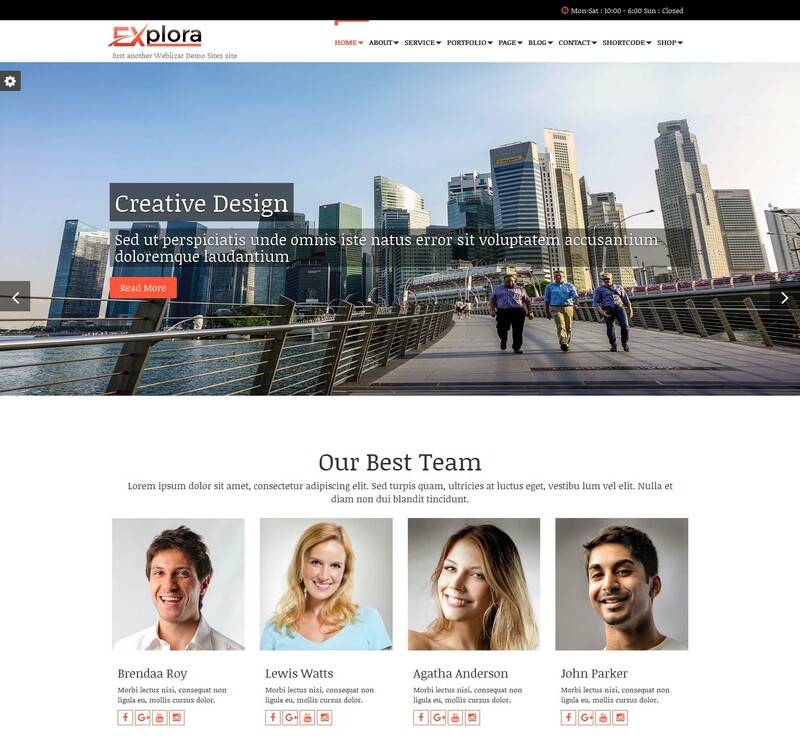 Explora Premium Theme is a multi-purpose responsive theme. You can use it for your business, portfolio, blogging or any type of site. Explora is a flexible Responsive theme and supports all browsers. Explora is Retina ready. Explora built with awesome Carousel slider, Fraction Slider, Swiper slider, Powerful but simple Theme Options for full CMS control option to match your logo & website, wide layout, a different type of color skin, translation ready and much more. Explora Premium Theme provides about 20 templates that are well designed In which 8 blog templates, 3-page templates, 2 contacts us templates, 2 about us templates, 3 service templates and 2 portfolio templates. The theme provides 11 types of shortcode which are creatively designed. Explora supports WooCommerce. The most customizable WooCommerce platform for building your online business. Explora is fully responsive, you can run it on any device. By the social icons which allow sharing your blog post etc across Facebook, Twitter, and Pinterestnay many other icons. Using a pre-designed theme can make putting a site together quicker and easier but many people want to add their own flair, making customization important — from type to color to simple styling changes etc many more options are available in theme option. Theme template builds with latest HTML5 / CSS3 structure and using Bootstrap. Explora theme ready with the WPML and it will be Multilingual. So you can convert theme in your language. Surely you will enjoy with Explora Premium Theme.